November 30 1944: Organisation of a second Hungarian SS Division is decided. December 22 1944: 2 000 pro-fascist university students from Budapest arrive at Rajka to join the Hungarian SS divisions. They have to sleep outdoors in –12 degrees Celsius due to lack of quarters. December 23 1945: On the morning of Dec. 23 a Hungarian field police battalion transported by Hungarian army trucks arrives at Rajka. This consists off about 200 soldiers wearing Waffen SS uniforms and 600 Hungarian gendarmes. They were joined by a few hours later by approximately 500 to 600 non-commissioned officers (also in German uniforms). They are there to restore order and organise the men for moving to Neuhammer camp. The Hungarian defence Minister Beregfy issues special order 1787 which authorises the formation of a second Hungarian SS Volunteer Panzergrenadier Division. December 26 1944: After travelling via Vienna and Oppeln the trains carrying the grenadiers arrive at Oberleschen station. They have their first hot meal in 24 hours and then march to the Neuhammer camp. The artillery men arrive at Sagan station after travelling via Bruck an der Leitha station-Brünn-M.Ostrau-Litzmannstadt-Posen-Thorn-Osterode stations. They then march to Neuhammer camp. December 28 1944: 4 days after the arrival of the Hungarian Ministry command it is announced by SS Head Office that a second Hungarian SS division is to be set up. 8 000 men from 25. SS Division ,,Hunyadi” are used as the nucleus for the new division. This becomes 26. SS Division ,,Hungaria”. The divisional staff of ,,Hungaria” arrive at Neuhammer camp. December 29 1944: Some men are issued with uniforms (mainly greatcoats). December 30 1944: ,,Hungaria” numbers 16 761 men. (10) It has808 K98 rifles, 10 rifles with telescopic sights, 792 Mannlicher rifles (from the Hungarian gendarmerie}, 400 M08 pistols, 273 M09 pistols, 50 Beretta machine pistols, 15 light and 2 heavy machine guns, 4 motorcycles, 2 cars and 2 trucks (10). Approximately 3 706 men are equipped with German uniforms and 2 601 men are in Hungarian uniforms and the rest are in civilian dress. SS ranks are used from this day. Amongst the arrivals to join 26. ,,Hungaria” at Neuhammer are 650 trained armoured troops (intended to form 26. Panzerjaeger but instead they become grenadiers), a company of cavalry (also destined to become grenadiers) 400 Airforce personnel (including 110 pilots) and a full company of paratroopers (in camouflage smocks) recently withdrawn from the front (approximately 60% of the division are former members of the Honved). January 1 1945: At 03.00 ,,Hungaria” is ordered to Sieradz in Poland thus leaving ,,Hunyadi” (with a few small parts of ,,Hungaria”) alone at Neuhammer camp. At 05.30 SS Transport company 500 arrive to help move ,,Hungaria”.At 06.00 men from ,,Hungaria" board lorries to take them to Oberleshen station. They are warned of partisan action in and around the area they are being transported to. At 08.00 64 Regiment starts to load onto trains at Oberleshen railway station (near Neuhammer)for transporting to the new camp. At 10.00 the trains leave for Sieradz via Sagan and Glagau. The men are issued with 2 blankets to help them with the cold temperatures due to lack of clothing along with bread bags, water flask and backpack along with 3 days food. The food for the journey is served cold. January 2 1945: At 01.00 the trains carrying 64 regiment arrive at Sieradz camp. January 4 1945: 65 & 85 regiments leave Neuhammer for Sieradz. 26 Artillery regiment is the last of the regiments to come into existence (13) and leaves Neuhammer. Conditions are basic, as most of the accommodation to which the troops are assigned consists of farmhouses where there is no lighting or drinking water. The lack of clothing combined with the cold (it is minus thirty degrees) and 50 inches of snow lowers the morale of the troops. January 8 1945: Training begins in 50-60 cm of snow. The training is mainly theory due to the weather and lack of ammunition and mainly consits of stripping and cleaning weapons and making coffee. Over the next few days ,,Hungaria” receives various deliveries of equipment from the German 9th army. Around this time ,,Hungaria" is contacted by the German army who enquire about the strength of the division. They are told the approximately 9 platoons are ready. The Germans are surprised as they were expecting at least a regiment. Because of the set up difficulties Hauptsturmführer Ferenc Pálfay and his staff arrives at Strans. January 11 1945: A supply unit from 26. ,,Hungaria” is attacked between Sieradz and Klein by Polish fighters which results in men being killed and wounded. Hungarian field police later take over the protection of the convoys from the cossacks which leads to a reduction in attacks. January 14 1945: Russian offensive breaks through the German lines and threatens the area in which ,,Hungaria” is stationed. The division waits for news and instructions from SS Headquarters but non-are forth coming. Around this date a detachment arrives from the 9th German army and requisitions most of the stores and equipment from ,,Hungaria” for use by local German troops. January 15/16 1945: The Russians are advancing in Silesia around Breslau and still there is no communication from SS Headquarters. To find out the latest situation members of ,,Hungaria” listen to the BBC broadcasts on Polish Resistance radio. The Cossack unit attached to ,,Hungaria” is temporally attached to a Army group A unit. January 16 1945(? ): A meeting is held at 19.00 for the officers and battalion commanders of ,,Hungaria" (at this time ,,Hungaria" has approximately 25-30 officers and 80 NCO's) most of them arrive by horse as the narrow streets of Schieradz will not allow vehicles through. The men are told of the artillary flashes that can be seen from the camp and of the noise that is audible at the camp. During the meeting an air raid takes place and the meeting continues by candle light. January 17 1945: With no communication of any kind from the SS Head quarters and after hearing of bomb attacks on Lodz ,,Hungaria”s commander makes the decision to move ,,Hungaria” to the west as there is a danger it being encircled. (18) Waffen-Hauptsturmführer János Zoltay with the help of Captain Reinholdt manages to secure enough cold food for 4 days to feed ,,Hungaria” on the withdrawal from Sieradzi. They also manage to provide various coats and other items of clothing along with military blankets to protect the men from the cold (these blankets were of russian, Czech, French and Italian origin). January 18 1945: At 13.00 ,,Hungaria” headquarters hear that the Russians have captured Lodz and that the German 9th army headquarters is retreating towards Kalish. At 22.00 written orders are sent to the scattered units and they are placed on full alert. By 23.00 most of the units of ,,Hungaria” have acknowledged in writing that thay have received their orders to march. Only the grenadiers of 5/II in Klien-Glickow and the Pioneers in Jakubicé do not reply. January 19 1945: The Russians advance close to Schieradz. At approximately 09.00 the Russians bomb Schieradz setting fire to some barracks and circling around they strafe the camp. The temperature is recorded as -19 degrees. II company of 65 grenadier regiment and 26 Pioneer regiment have not been heard from since the division left Schieradz. January 21 1945: Around 03.00 the division arrives at Jarotschin and Pisky orders a rest-day for the division in any local accommodation that can be found. Captain Reinholdt decides to try and reach Posen by car to try to get equipment (mainly clothing) from the local German commander. Around 12.15 Pisky attempts to reach the local German commander in a Kubelwagon, before setting off he passes temporary command to Waffen-Hauptsturmführer der SS János Zoltay, but at around 14.00 Pisky returns to the division after he was unable to reach the local German commander due to the congestion on the roads. He locates some horses in a local stable and leaving the driver of the kubelwagen behind tries to reach the German commander on horseback along with 20 cossacks. Setting off before it grows dark he is not seen again and his fate is unclear. (23) His departure is reported by the driver left behind at around 16.00. Around 10.00 a messager informs Zoltay that according to German radio the local area is calm. However according to the BBC Hungarian language radio broadcasts the Russians are at a standstill before Posen and Kalish on the eastern front. Indeed, to the north from us they have already reached Schroda and their tanks have reached Ostrowót and Krotochint. Shortly after 14.00 Zoltay watches a company of grenadiers pass by wearing light blue jackets, red trousers and short boots along with Brass helmets. The officers were wearing normal uniforms. Zoltay was told that they had liberated the clothes from a fire station in Jaratschew as their normal clothes were in rags. The only German troops seen since leaving Schiradz now passes now ,,Hungaria" when a convoy of 3 tiger tanks and 8 assualt guns are seen heading to the front. ,,Hungaria” reaches Sandberg at approximataly 19.00. The accomandation for the division in Sandberg is of poor quaility. Due to this Waffen Grenadier regiment 65 (ung. Nr. 5) carry on marching to Gosting. I company of 65 grenadier regiment (wearing Waffen SS uniforms) which is commanded by Obersturmfuhrer Dr Lengyel goes to nearby Neu-Gosting to find accomadation and are put up in German families homes. Whilst at Gosting they find 7 automobiles but due to missing parts these are unable to run and so are pushed onto the street to make room for the horses. Also found were 4 motorcycles with full tanks. These were taken by the grenadiers for use by the regiment. In a local headquarters of the NSDAP the men find SA uniforms and great coats which are distributed to the soldiers still in civilian clothes. A flag is also found and cut up to make foot rags to protect the soldiers feet while marching. While at Sandberg the division discovers a depository of Red Cross supplies in a dead end street. The only guard gives everything out in return for an invoice/account. A German SS Standartenfuhrerjunker supervises the distribution of the supplies. January 23 1945: Contact is made with the ,,Hunyadi" division and they are informed of Pisky's disapperance and by the end of the day Brigadefuhrer Berthold Maack (German) is named as replacing Pisky as commander of 26. ,,Hungaria”. He arrives at Neuhammer camp two weeks later just as the bulk of ,,Hungaria” arrives. A radio operator around 08.00 hands over a German radiogram text outlining the general situation on 1945. January 23. 08.00 - the Nehring battle group along with parts of the "Grossdeuschland" division may join together at Kalisch. From the BBC radio service it is learnt that Russian tanks face Breslau and Oppenln and that Posen is in the process of being cut off. At around 08.10 two Germans and a Slovak - who could understand Polish take over Sandberg Post Office.They try to find out the situation at the front with a view to try and contact the "Hunyadi" division headquarters at at Neuhammer to report the disappearance of ,,Hungaria" commander. Kampfgruppe ,,Kresznay” along with Gruppe ,,Nehring” are joined by II.company of Waffen Grenadier regiment 65 (ung. Nr. 5) which has been wandering since it left Sieradz. (24) All the soldiers then walk from Kalish in a westerly direction. At around 14.00 on the road between Sandburg and Gosting the division comes across a burning supply warehouse and are able to rescue approximately 2 000 items of clothing (uniforms, footware and some winter clothing) for use by the division. Around 16.00 a burial takes place of 9 member of ,,Hungaria" in Krotoschin. The salute is fired by members of the DIV.SICH-FU.-KP. January 24 1945: In the evening the Hungarian units decide to leave Gruppe ,,Nehring” to try and re-join the rest of ,,Hungaria”. The main part of the "Hungaria" division is about 130 kilometres from Neuhammer in Leszno (Lissau) which is reached about 10.00. A German officer caterer - a SS standartenoberjunker - managed to obtain 10,000 pieces of bread to give to the Hungarians The ,,Hungaria" grenadiers have to stay in the Polish town for an extra two days before carrying on to join the main part of ,,Hungaria”. The delay is due the Grenadiers on several occasions having problems with the local German Feldgendarme before being allowed to carry on the withdrawal. After reporting to the local commander Zoltay is informed thar Oberfuhrer Maack is on his way to the division. January 25 1945: 26 SS Ausbildungs & Ersatz Einheiten (training and replacement) arrives at Neuhammer. Parts of the division due to road signs showing the wrong direction end up in Kozmin and Krotocsin forcing the main bulk of the division which is at Leszno to wait. January 27 1945: A battalion from 26. ,,Hungaria” takes part in action near Kriewen. It stays in the area until withdrawing on February 2 1945. Due to the temperature being 0 degrees more snow falls and slows the movement of the division. January 28 & 29 1945: Rest days for ,,Hungaria”. Approximately 7 000 soldiers along with 400 horses are at Fraustadt and 1 500 soldiers are at Altkranz. Temperature is -1 degree and snow falls. A supply officer finds some potatoes and distributes them among the men. In the afternoon the reguard arrives about 1km from the main body of troops. The divisions headquarters keep thrying to find out what the local situation is and find out from the BBC that there is fighting around Breslau and Kustrin and that Lissa had been evacuated. January 30 1945: the grenadier division of 26. ,,Hungária” arrives at Neuhammer and joins ,,Hunyadi” being stationed between Strans and Neuhammer. Zoltay asks Grassy for help in providing warm food, clothing and support for ,,Hungaria” which is near Glogau. At around 18.00 two local party functionary's in party uniforms visit Zoltay. They inform him that the Glogau bridge will be blown up at midnight. Alarmed at this a detachment with officers speaking German is promptly sent to wards Glogau and the bridge. Due to frostbite 117 men have to have operations to have feet removed at a nearby German hospital train. (29) On the train they also give first aid to 272 troops suffering from smaller cold related injuries and wounds. At approximately 01.00 two messengers arrive. They inform Zoltay that the Germans have stopped the bridge detonation, and are only destroying ice flows in the Rivere Oder. At 02.30 Zoltay receives another report that the majority of the division have crossed the bridge at Glogau. At 06.00 they arrive at Glogau. ,,Hungária” crosses over the old German-Polish border at Glogau where ,,Hunyadi” feld gendarmes are already waiting for them. The feld gendarmes list the number of troops and their equipment. On arriving warm food is distributed on the local barracks' yard which is the first the troops have had since leaving Sieradz. After feeding, the troops are ordered to go to Sagan where basic hygienic is checked and bathing and delousing carried out. The troops are transported by lorries on the 65 kilometre journey from Neuhammer. Radio contact is made with SS Headquarters for the first time in 12 days. February 1 1945: 25th SS divisions ,,Hunyadi” and 26th SS divisions ,,Hungaria” reunite. This situation remains unchanged for the rest of the war. By this date the Russians have already moved 50-60 kilometres closer to Neuhammer training camp. ,,Hungaria” takes over the accommodation recently vacated by the 20 SS division (Estonian) close to the 26. Artillery group. Gruppenfuhrer Josef Grassy informs Hauptsturmführer János Zoltay that SS Headquarters has ordered that ,,Hungaria” is rebuilt and reformed as a 1945 pattern Waffen grenadier division. The divisional staff arrive at Neuhammer around 16.15. February 2 1945: A casualty list is complied on this day. It lists 2570 casualties of which 147 have been killed, 101 are classed as wounded and 370 have been transported with cold related injuries, the rest are classed as missing ( although classed as missing, some members of ,,Hungaria" were taken to form small kampfgruppe's, some where taken into German units, some got lost and others probably deserted. In the chaos of the march it is not possible to account for the missing men) The division’s numbers do not show this drop as about 1/3 of ,,Hungaria” remained at Neuhammer and the division has received new volunteers and new equipment. Of the 808 horses that ,,Hungaria" brings to Neuhammer camp approximately 50% end up in the slaughter house and 50% are handed to the ,,Hunyadi" division. February 5 1945: A courier arrives at the camp with an order from Hungarian defense Minister Beregfy stating that as officers and non-commisioned offices are not available that the formation of the 3rd and 4th Hungarian SS divisions be halted and the troops moved to the ,,Hunyadi" and ,,Hungaria" divisions. February 6 1945: ,,Hungaria” make quarters in the area around Oldenburg and Kloppengurg. Troops from the unformed ,,Gombos" and ,,Gorgey" divisions are absorbed by ,,Hungaria" and ,,Hunyadi"
February 7 1945: It is decided that the remaining units of the ,,Hungaria” division (31) are to move out of Neuhammer camp and move approximately 50 kilometres to the south to the Deutschgabel area in order to develop new barracks. It had been decided during the previous German-Hungarian meeting that 4 divisions were to be sent to the area so sufficient stores were brought in. Around noon uniforms are issued to members of ,,Hunyadi" and ,,Hungaria" and basic training for the soldiers starts. Around the same time the preparations for the evacution of the camp begins. Around this date Hauptsturmfuhrer Tibor Szentgróthy accompanies 21 lower rank officers to Kőszeg who for various reasons did not continue to serve in either ,,Hunyadi" or ,,Hungaria". A group of men from ,,Hungaria” under Standartenoberjunker Balla arrives at Neuhammer on the night of 8/9 February along with a group of 7 under the command of Sturmman A.V. Payer. February 9 1945: At around 11.00 Brigadefuhrer Berthold Maack and two other German officers arrive at Neuhammer camp by car. It is explained to Maack that the ,,Hungaria" division is about to leave due to the Russian advancing towards Neuhammer. 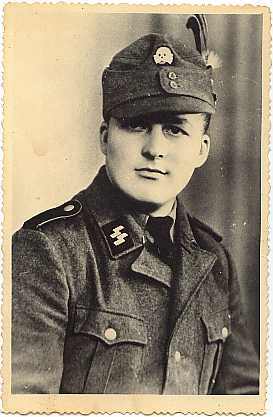 Waffen-Hauptsturmführer János Zoltay lets Maack know that members of his division are now forming 2 battalions of the "Alarm battalion" that is now taking up its positions around Stranz and that he has 6 mortars and their teams at the camp that are just about to leave for the front. The staff officers impression of Maack is mixed. Maack informs the headquarters staff that they are not needed as he has his own team with him (Other than the two SS Officers who arrive with Maack it is not explained where the rest of Maack's team will come from. Later Maack brings Sturmbannfuhrer Talbot von Pistor to ,,Hungaria" who manages to locate and secure for the division transport vehicles, mobile kitchens, machine repairing maintenance cars, a field butcher workshop and bakehouse section along with machine guns and some artillery equipment). The replacing of the Hungarian Officers is rejected by Benno Festetich (the ,, Hungária” division's adjutant) stating that the Honvéd Ministry had ordered most of the officers there and so the order to replace the Hungarian staff is not carried out. Maack also informs the staff Officers that ,,Hunagria" will be going to the north of Dresden as part of a deception plan against allied air reconnaissance (nothing becomes of this). Maack then startles the officers by saying that he would like to visit the front. This is delayed by Hungarian Feldgendarmes checking Maack's documents. It is then decided to visit Grassy and his staff at his headquarters in a foresters lodge at Koberbunni. After a drink Maack and 2 Hungarian officers set off for the headquarters. Some days after Maack's arrival Beregfy confirms Maack as commander of ,,Hungaria". At around 12.40 ,,Hungaria” is split into 2 columns and leaves Neuhammer camp. Its aim is to reach the Lissa area by the end of the day. The right hand column is commanded by Waffen-Standartenführer Ödön Magyar and consists of the SS 64. Waffen grenadier regiment, the SS 26. Pioneer Regiment, the SS 26. Artillery Regiment and the SS 65. Waffen Grenadier Regiment. The left-hand column is commanded by Waffen-Standartenführer Vadnay and consists of the SS 85. Waffen Grenadier Regiment, the SS 26. Supply Regiment, the cyclist battalion and the field depot battalion. Due to the weather and the conditions on the roads Lissa is not reached and at approximately half way the columns turn around and march back to Neuhammer.101 men from ,,Hungaria” leave Neuhammer to go to the Waffen Junkerschule der SS in Prague. February 10 1945: after the previous days march ,,Hungaria” has a rest day. Brigadefuhrer Berthold Maack takes the opportunity to inspect the division. February 11 1945: ,,Hungaria” leaves Neuhammer camp once again and by the end of the day reaches the Burgundenau–Lissa– Zodel–Oberneundorf area as planned. February 12 1945: Keeping the same formation and taking the same route as the previous march (and seeing part of the ,,Hunyadi” division on the way) ,,Hungaria” reaches the Goritz-Radmeritz-Ostriz-Marienthal district. February 13 1945: During the march so far 21 soldiers have disappeared and another seven are sent to hospital. The commander of the right hand column publishes a warning regarding looting, plundering etc that anyone caught committing such crimes would face an SS court martial, which would result in the death penalty. February 14 1945: Units of the ,,Hungaria” division have reached the Kiesdorf-Neudorf-Grosshennersdorfon district after crossing the Strahwalde region. The 101 men going to the Junkerschule at Prague arrive in Dresden but luckily they stay outside the city and stay overnight on Pirna. Some members stop in a school building and receive food at a nearby barracks. They also played a small part in clearing up the area in which they were staying. A new agreement is reached between Hungary and Germany regarding the Hungarian SS divisions. Among the 15 points in the agreement are - the divisions will bear names chosen by the Hungarian Honved Ministry, the Commanders, Officers and NCO's of the divisions will be Hungarian, Hungarian will be the command language, the divisions remain a part of the Hungarian Honved Ministry, the divisions will take an oath the the Hungarian head of state, Hungarian chaplins will provide the spiritual care for the divisions and that although part of the Waffen SS they will retain the Hungarian flag and only fight Russia. February 15 1945: The men on the way to Prague re-start their journey. February 20 1945: ,,Hungaria” reaches the Bautzen and Zittau area. While here Maack orders the families of the division's officers and non-commissioned officers to leave the march along with men no longer able to continue the march. They are transported by the divisions supply regiment to Bautzen railway station nearby where 7 trains take them to the Bamberg and Bayreuth area. ,,Hungaria” carries on marching west. The journey takes 2 days. February 21 1945: the ,,Hungária” division aim is to reach the area north of Drezda (Lichtenberg–Leppersdorf–Gross-Röchsdorf–Breitning-Hauswelde) in the hope that once there they would be transported by rail The division's columns keep their formation and while heading to Drezda the following measure’s are ordered to be taken due to the threat of Allied air raids– in between each unit of the division a 100 metre gap should be left, between the vehicles at least 10 metres should be left. In case of an air raid all infantry who have a weapon should open fire on the enemy plane. The men in vehicles (except the drivers who should stop with the vehicle) should leave the vehicles on the roads and seek cover. February 22 1945: The trains from Bautzen arrive at Bamberg/Beyreuth. 1 A 26 panzer grenadier division was considered by the SS Head Office around 13 September 1944 for use on the western front. The division was to use the 49. SS Panzer grenadier brigade as the nucleus. The brigade was moved from Denmark to France in preparation for the formation of the division. The 49 Panzer grenadier brigade was eventually used to form part of the 37. SS Panzer grenadier regiment, part of the 17. ,,Götz von Berlichingen” SS-Panzer grenadier division which had suffered heavy losses. 2 There seems to be some confusion as to the naming of the division. All Hungarian sources state the name ,,Hungaria” as the name of the division from when it was first formed to when it was absorbed into ,,Hunyadi”(please see note 7). Some sources do not give the division a name, some name it both ,,Hungaria” and ,,Gombos” The question of naming is not helped by some late war papers (deutschen Dokumenten S. 451, Anm. 24 being one) referring to the 26. Division as ,,Gombos” and not ,,Hungaria” (a date of 21.03.1945 is mentioned in one source as the date of naming/renaming another as 14.03.1945). A Hungarian source states that the paper (s?) “mistakenly”calls the division ,,Gombos”. One source states the division started life as ,,Gombos” but that on 29th January 1945 the 26. Division ,,Gombos” was renamed ,,Hungaria”. The division will be referred to as ,,Hungaria” through out this section . 3 There seems to be some confusion as to whether Sövényházi-Herdiczky actually takes command of the division. In the book “A lifetime For Hungary” by Lieutenant Field Marshal Jeno Bor which is edited by Andris J Kursietis. There is a footnote stating that he was listed as commander of "Hungaria". Mr Kursietis sources are the books “Horthy Tábornokai” by Pál Földi and “A Magyar katonai felső vezetés” by Sándor Szakály. 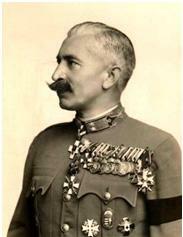 Rudolf Pencz states that Sövényházi-Herdiczky was offered command of one of the Hungarian SS divisions but due to ill health was unable to take command and sat out the rest of the war. 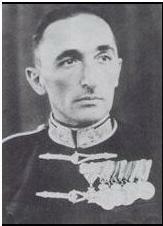 Norbert Számvéber states that Sövényházi-Herdiczky was offered command of "Hungaria" AFTER Pisky went missing in January 1945 but due to ill health does not take command of the division. A possible scenerio using all the information available is that Sővényházi-Herdiczky is named as commander of "Hungaria" (hence the 20/12/44 date in the 2 books - he was CO of the 13th infantry division up to this date) however due to ill health he cannot actually take the position. With the Germans pushing for a German commander for the division Zoltan Pisky is named as temporary commander by Waffen-Obergruppenfuhrer der SS Jeno Ruszkay (hence the 28/12/44 date) to stall the Germans until Sővényházi-Herdiczky returns to active service and takes over the command of the division. In January 1945 Pisky however disappears and the Germans do appoint a German commander (Maack) The Hungarians complain citing the agreement that only Hungarians command the divisions so Maack is removed . 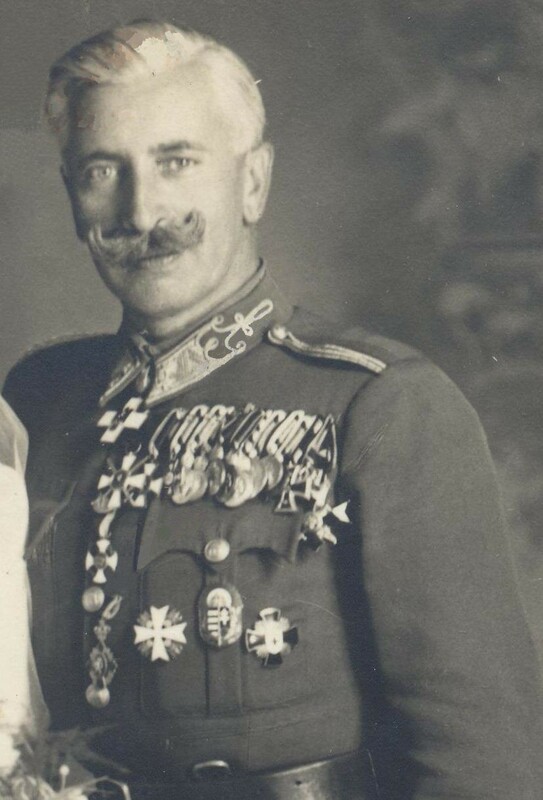 As General Sővényházi-Herdiczky is still inactive due to illness another temporary commander is sort but as no Hungarian officers by this stage of the war are interested as a temporary measure Grassy takes over either awaiting the end of the war or the return of Sővényházi-Herdiczky. Jeno Major in his book states that Sövényházi-Herdiczky was to go on a course to prepare him for commanding one of the Hungarian SS divisions but due to his stomach complaint it did not happen. This is similar to Mr Pencz's version of events. It is still not clear just what the situation was regarding his command of "Hungaria". At the end of the war Sövényházi-Herdiczky was interned at the Djion camp along with Jeno Major and other Hungarian officers. 4 Some Hungarians sources state the 28th when Pisky takes over while other sources states the 23rd. Colonel Laszlo Incze of the ministry of defence was originally considered for the command of ,,Hungaria"
e- All of the volunteers will immediately be placed into military formations under designated officers and NCO’s with the assistance of the field police. g- All members of the division will then, in an orderly formation, prepare for transport and relocation. 9 András Podhradszky is Ádám Podhradszky’s (,,Hunyadi” division's first staff officer) younger brother and he was a colonel in the airforce. 12This battalion along with the 25. Schi battalion form 1 Hungarian SS Attack hunter (Sturmjaeger) regiment. Please see separate section on 1st Hungarian Sturmjaeger Battalion. 13 The regiment took the Hunyadi division's name temporarily. Jakubice II Battalion 64 Regiment and 26 Pioneer battalion (The Pioneers left Neuhammer on January 12 and on January 14 had arrived at Schieradz. Passing through Jakubicéra, but after three days they were ordered to march to Opatow, where they arrived on January 19. They then received an order to return to Neuhammer. At the station they were originally ordered to - Krotochin - they were not able to take a train because of a carriage deficiency, they then moved to Kalish where they succeeded in boarding a train. They then spent four days in virtually open field conditions. On January 26 they return to Sagan station, from where they marched towards the camp again. Finally on February 2 they arrived back at Stransi camp). 16Another source puts the equipment received as - 1943 rifles (40 with telescopic sights), 250 Baretta machine pistols, 35 light and 8 heavy machine guns along with mortars and artillery pieces, 50 Panzershreks, 500 Panzerfausts and 1 000 hand grenades. The division also receives 3 Teletype machines, 15 radio sets, 1 car, 6 motorbikes, 500 bicycles, 22 000 tent quarters, 1 000 gas masks, 11 000 mess tins and 11 000 sets of cutlery. Yet another source lists 2711 K98k,50 cabines,450 P-08 pistols, 792 Hungarian rifles,300 beretta’s,271 Hungarian pistols,50 light and 10 heavy machine guns,10 81mm mortars, 10 120mm mortars, 10 FmW41 rocket launches,10 Pak 75 mm anti tank guns,10 IG-18 75MM howitzers, 10 FH-18 105mm artillery pieces, 10 FH-18 150mm artillery pieces, 50 panzershreks, 500 panzerfausts, 1000 hand grenades, 10 motorcycles, 500 horses, 5 trucks and 18 pieces of field radio equipment. 19 It comprises of 324 men. They are issued with 200 K98k rifles, 50 MP40’s; 10 mg’s and 25 PanzerFaust’s. Kampfgruppe ,,Krasznay" has losses of 2 officers and 130 men killed and 6 listed as missing. 21 One account states that Russian aircraft attacked the camp shortly after the evacuation. 22 150 Russian automatic rifles and ammunition along with 400 horses and 85 horse drawn carts are listed as being acquired by ,,Hungaria” on the march. 23 There are several versions of what may have happened. Killed in fighting by Russian tanks near Schroda is one, killed after running into a Russian roadblock (along with Reinholdt, Obersturmfuhrer Kasas and his driver) is another, captured by the Russians and then killed by them is another. Yet another version is that he was captured by the Russians and taken prisoner and dies in captivity. One Hungarian source states that Pisky was wounded in the fighting and taken to a hospital in Posen and was killed along with 2 000 others when the Russians set fire to the hospital on January 23 1945. 24 II company of Grd Rgt 65 had not been told of the retreat due to bad weather. 25 Later approximately 50 men eventually caught back up with it the ,,Hungaria” division. 169 more were captured/killed by the Russians at the bridge. Some of the Hungarian dead are buried in a mass grave in the local cemetry at Shrimm (now called Srem in Poland) The exact location of the grave in the cemetry is unknown at this moment in time. Two people who are involved in the action at Shrimm are Waffen Untersturmfuhrer Bela Toth and Waffen Scharfuhrer Szilagyi. Both had attended Heeres Unteroffizier schule 14. 26 Approximately 100 – 120 men from ,,Hungaria” are killed in this encounter. 28 Adam Podhradszky states that while the Hungarian SS units were retreating, Feldgendarmes from "Heersgruppe Weichsel" stopped the column and stated that any retreating men where to be detained (executions of retreating German soldiers had already be carried out) The feldgendarmes state that if a battlegroup is left behind the rest of the column can proceed. Within an hour 220 volunteers had been assembled. Podhradszky states that the last he saw of the volunteers was as they marched off towards the city singing. The last he heard of them they were stationed near the Obra canal. 30An alternate list according to one source is 810 K98k, 17 M43 rifles, 610 personal weapons (mostly Hungarian rifles) 171 Tukarev machine pistols, 73 Berrata’s, 3 heavy machine guns, 5 panzer Shreks, 50 Panzerfaust’s, 2 8cm mortars, 507 pistols,1 field telephone outfit, 5 radio sets, 808 horses, 3 trucks,7 cars and 15 motorbikes. 31 Men from the ,,Hungaria” division form another Kampfgruppe. This is called Alarm battalion ,,Szalasi” Please see separate section on kampfgruppe ,,Szalasi”. 32 There are 2 lists in existance (dated 27.02.1945) of men originally from ,,Hungaria" who are listed as being in 32 SS Division ,,30 Januar"). They actually form part of SS-Kampfgruppe "Hengstmann" This was commanded by SS-Stubaf. Friedrich Hengstmann who was commander of II. Btl. (5.-8.) - SS-Freiwilligen Grenadier Regiment 87. The Hungarian unit was largely destroyed near lake Weliger. At first the men from ,,Hungaria" were attached to the 32.SS division “30 Januar” ,along with the SS.Works - battalion of the training camp of Kurmark . They were then disarmed under order of IX .Armeekorps (as per Heinrici’s direction to disarm foreign soldiers on the Oderfront), then armed again on the 19th April (18th in one source) and used as assault troops west of Frankfurt am Oder as part of Kampfgruppe "Hengstmann". According to a veteran from 32 SS the Hungarian btl attacked "with bayonnets, and was destroyed till the last man".